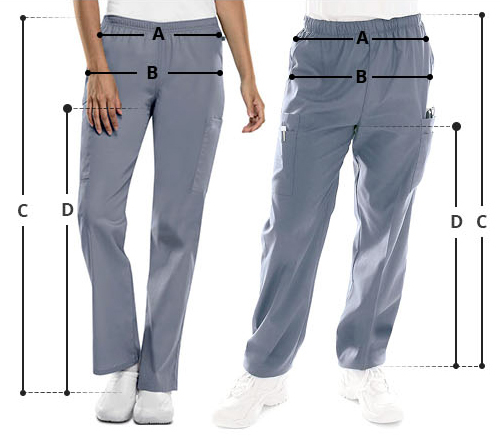 This is a Barco One Women Waistband Cargo Track Scrub Pant that features knit waist band and all around elastic plus draw tie for adjustable fit. 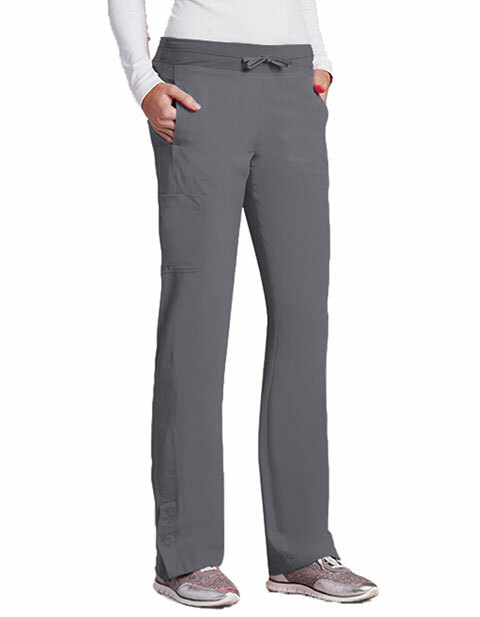 It's performance features include perforated panels with snap closure at hem and straight leg fit. It has four roomy pockets to carry your essentials and it fabric is made up of 50% Polyester / 43% Recycled Polyester / 7% Spandex. Inseam length: 33.5"